Awtaney claims that ISON is the biggest IT services player by employees in Africa by a long run, and a count of 100,000 employees would make it much stronger. Experience tells. Indian-origin IT services entrepreneur Ramesh Awtaney, 49, who led the team from IBM India that bagged the landmark first major Indian IT outsourcing deal from Bharti Airtel in 2004, recently beat back competition from the IT services industry's telecom expert Tech Mahindra to bag a five-year outsourcing deal from South Africa's MTN to run its call centre operations. The deal, initially valued at $300 million, could go up to $500 million in five years. 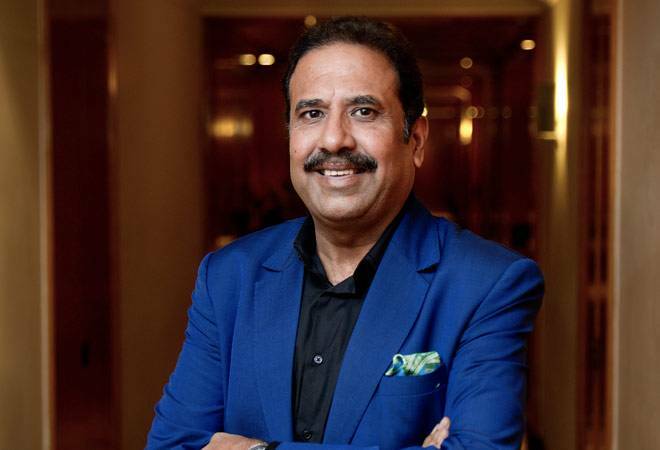 "For Tech Mahindra, it would have been one of many deals, but for us, it was THE deal," says Awtaney, who is based in Dubai. Awtaney is Founder and Chairman of ISON Group, which has operations in around 25 countries in Africa, including the Arab-dominated North, Sub-Saharan Africa as well as South Africa. "We needed a deal like this to get into bigger things," he adds. As a result of this deal, ISON doubled its employee count from 5,000 to 10,000. "It took the big IT services companies 15-20 years to reach 10,000 employees; we have done it in five years," says Awtaney, adding that the next target would be to scale up to 100,000 employees within the next five years. The group was founded in 2010. Awtaney claims that ISON is the biggest IT services player by employees in Africa by a long run, and a count of 100,000 employees would make it much stronger. He sees a lot of potential in the African market, both in English and French-language outsourcing (especially in the North of the continent), but mostly the work being done there is building the fundamentals. As such, he sees not much of a role for digital technologies - such as Big Data and Analytics - in African outsourcing. ISON gets about 10 per cent of its IT outsourcing revenues from India, but that is mostly aimed at "staying updated with latest developments in outsourcing and technology", says Awtaney. His approach is not to offshore, but be onsite in all the countries that the group does business in, hire local employees, and essentially near-shore the work. Interestingly for a young company, ISON is helping start-ups who want to enter the African market. The model works like this: ISON invests in interested start-ups, takes minority stakes, and helps them enter Africa with its resources and contacts in the African market. The fact that it is present in 25 countries helps. Awtaney informs that ISON has invested in a taxi company in Saudi Arabia that wants to enter Africa, but not any Indian taxi company. "We are talking to some small start-ups in India, but not any of the major ones," he says.